Ages 8-12. 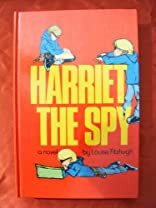 Thirty-two years before it was made into a movie, Harriet the Spy was a groundbreaking book: its unflinchingly honest portrayal of childhood problems and emotions changed children's literature forever. Happily, it has neither dated nor become obsolete and remains one of the best children's novels ever written. The fascinating story is about an intensely curious and intelligent girl, who literally spies on people and writes about them in her secret notebook, trying to make sense of life's absurdities. When her classmates find her notebook and read her painfully blunt comments about them, Harriet finds herself a lonely outcast. Fitzhugh's writing is astonishingly vivid, real and engaging, and Harriet, by no means a typical, loveable heroine, is one of literature's most unforgettable characters. School Library Journal wrote, "a tour de force... bursts with life." The Bulletin of the Center for Children's Books called it "a very, very funny story." And The Chicago Tribune raved, "brilliantly written... a superb portrait of an extraordinary child." 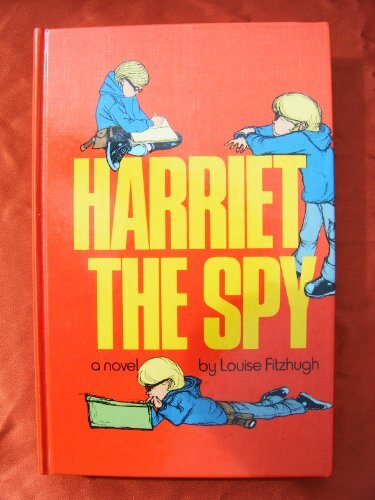 Harriet The Spy, by Louise Fitzhugh, reviewed. 12/15/2009 Samantha Parson said: Ever since I was a little girl, I always wanted to be just like Harriet - going on adventures of my own. I still try to keep this up. 6/18/2008 RJ Clarken said: I LOVED this book!